The horizontal laser line produces a continuous 360° laser line, the vertical laser line is oriented at right angles to it. Ideal for almost any alignment job. 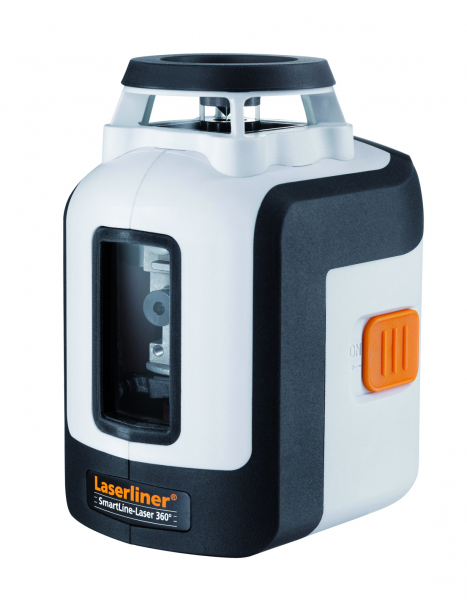 RX-Ready: The integrated hand receiver mode detects the laser lines with the optional laser receiver RX up to a max. of 30 m radius – ideal for all interior and exterior applications. Additional slope mode to align angled surfaces. Transport lock: a pendelum lock protects unit during transport. Multi-functional tripod-/wall mount: height-adjustable with 1/4“ and 5/8“ tripod threads, special pins and magnets for various surfaces.